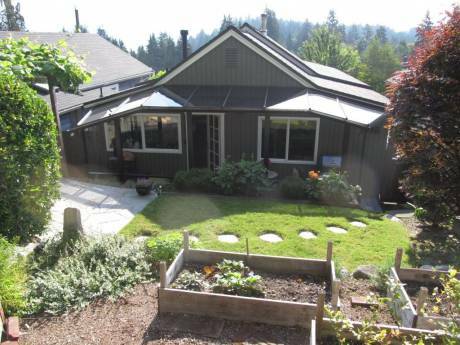 Lovely home located in North Vancouver. Centrally located and close to everything you would like to do on your visit to Vancouver but away from the noise of the big City. The house has a large living room area and dining area with a well equipped kitchen. The deck is off the living room and looks over the garden with a stream running through the backyard. The sounds of the creek will lull you to sleep in any of the 3 bedrooms upstairs. There is also a den on the upstairs floor. A very comfortable home away from your home. Blaine is a Technical Director of a Local Theatre and Leslie works with The Museum of Antropology at the University of BC. We have 2 daughters. We have never done a home exchange before but have heard of some very good experiences from other people and think this may be a great way to travel and meet new friends from different parts of the world. The location of our home is ideal for visiting both the attractions of Vancouver as well as excursions to other destinations such as Whistler or the Gulf islands or Vancouver Island. 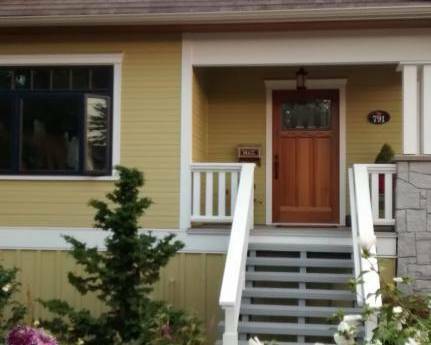 We have very easy access to all routes to downtown Vancouver, Whistler etc. 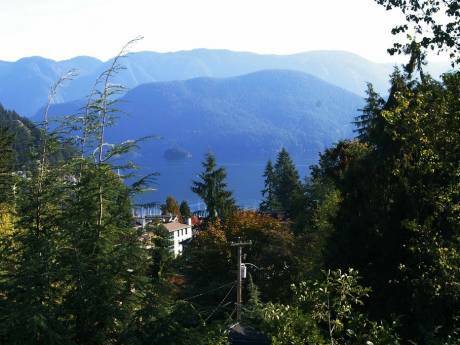 The neighborhood is in a very quiet and extremely safe part of the bedroom community of North Vancouver, itself a home for great hiking, skiing, mountain biking, golf etc.